Madame Mofazali has many layers beneath her beautiful looks, as she isn’t just a heartwarming French teacher with a bubbly personality, but is also the master of her kitchen: A culinary expert! Mme Mofazali’s passion for food was influenced by her mother, who is also an amazing cook with years of experience and whose specialty is Persian food. Her mother changed her perception of food, allowing her to look at the artistic perspective of cooking. Mme Mofazali also has an entire collection of cookbooks, from A-Z, but she gathers her inspiration from The Barefoot Contessa’s cookbooks the most. Mme is an enthusiast for all types of food and loves exploring different cultures through their traditional dishes, which is why she has made trying different restaurants a habit of hers. So far on her quest to try as many restaurants in Vancouver as possible, Mme totally recommends Maenam’s Tom Kha Gai coconut soup (I am personally going to try it out ASAP as Mme only recommends heavenly foods; she is quite the hard critic given that she herself is a wonderful cook). She then tries to recreate her favourite dishes from the restaurants at home, and perfects them by adding a touch of ‘Mofazali’ in their recipes. Despite being Persian herself, Mme avoids cooking Persian food leaving that to her mother, “the Queen of Persian Food.” She finds that cooking Persian food is too messy for her and “[She] hate[s] cleaning up after cooking!” Another reason why Mme avoids making Persian food is because she believes that it won’t measure up to her mother’s; however, I’m sure that Mme’s Persian dishes could be just as perfect if she were to try. Let's just say that cooking can get messy too, despite Mme’s attempts to keep things clean due to her distaste of a dishevelled kitchen. Mme recalled an interesting story that proves this point: “I once followed a recipe by Martha Stewart on how to make chocolate nests using melted chocolate and balloons. 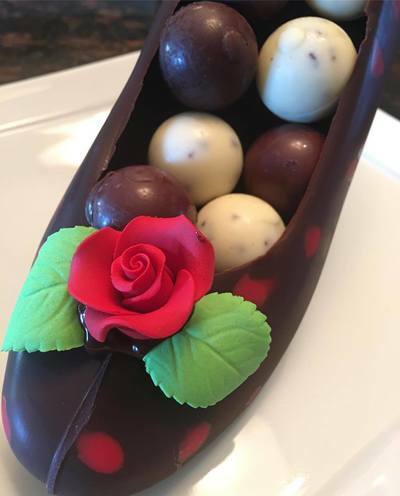 Unfortunately, I did not allow the chocolate to cool down enough and once I dipped the balloon into the melted chocolate, the darn thing popped and there was chocolate splatter EVERYWHERE – on the walls, on the ceiling, on me, in my hair. 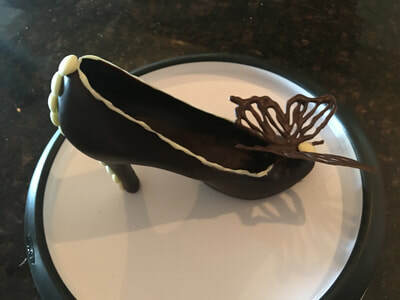 My daughter who at the time was maybe 5, ran to find my mom and said: ‘HELP, mommy has exploded!’ Needless to say, I never tried that recipe again.” However, she added that she has now become more familiar with ‘the chocolate’ while perfecting the technique and design of her chocolate shoes, which she is particularly proud of, so Mme may eventually try making chocolate nests again. We should definitely ask her about her second experience if she does try it out once more! After cooking for so long and taking multiple culinary courses, Mme Mofazali says that cooking has now become therapeutic for her. For instance, she will make 3 batches of macrons just to make sure they have feet (once macrons rise in the oven, a ruffle forms around the cookie. 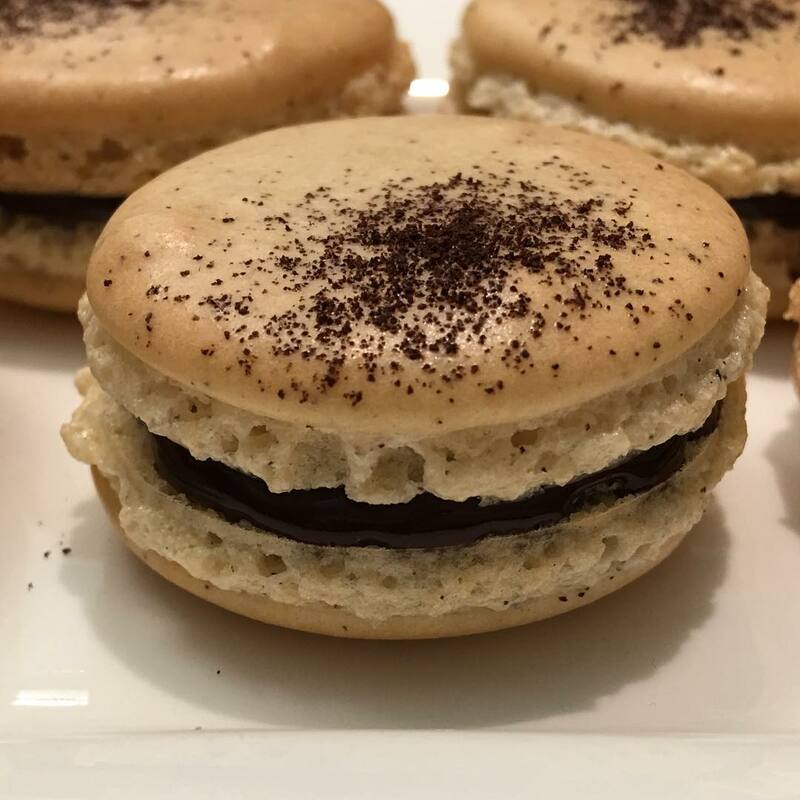 If the batter is too liquidy for example, or the macrons have not had enough time to rest, they will not form feet, and Mme believes that to be perfect, macrons must have feet!). Because she hates “footless macrons”, Mme has had to become more patience. Another example of her extraordinary patience might be with her many attempts at macron perfection: Mme’s macrons were too flat in her first attempt, then they were PERFECT (with feet and all) in her second attempt, but now somehow it seems as if she can’t get it right anymore. BUT she hasn’t given up, and is still trying! Mme believes that having family and friends fully enjoy your cooking is enough and won’t drop her teaching career to cook professionally (THANKFULLY! ), though, she is thinking of participating in some culinary competitions. So, watch out for Mme Mofazali on either Chopped or the Next Food Network Star. She hasn’t won any official awards, yet, but I am certain that that’ll be changing soon! P.S. I definitely recommend you check out Mme Mofazali’s food blog (https://mahastisfoodblog.weebly.com) which she created after being asked by almost all her friends and family for recipes of the pictures of food she posts on social media. 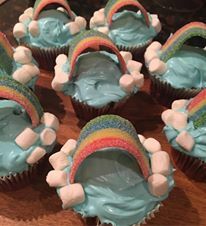 They all look delicious! !